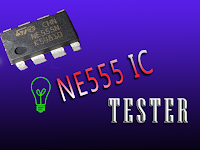 Ne555 is one of the most commonly used timer IC. It is a monolithic timing circuit that can produce accurate and highly stable time delays or oscillations. Like general purpose OP AMPs, it is very much reliable, easy to use and cheaper in cost. It has a variety of applications including monostable and astable multivibrators, dc-dc converters, digital logic probes, waveform generators, analog frequency meters, tachometers, temperature measurement and voltage regulators. The timer basically operates on one of the two modes either as a monostable or as an astable multivibrator. The NE555 is designed to operate on a temperature range of 0°C to 70°C, and it can withstand on a power supply of +5V to +18V, after these specified levels the IC will get damaged permanently. Here we discussing on how to check the condition of an NE555 Ic? 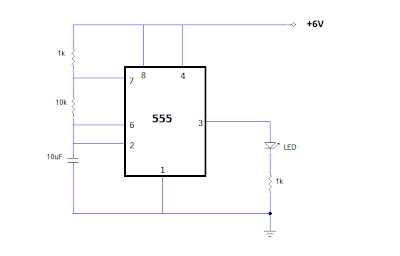 The following circuit may help you to test whether the ic is working or not. Here I am used an LED to display the status, instead you can use a 5V Buzzer. How this 555 Timer IC Tester Works? 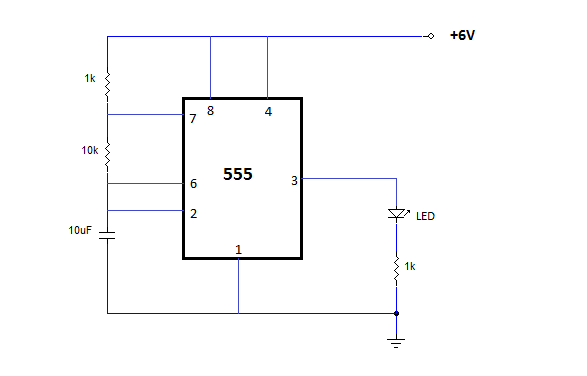 As I mentioned above, the 555 timer IC mainly works on two modes. Here, the IC is wired as astable multivibrator, which generates rectangular wave continously without having an external trigger. The frequency of the output is determined by the network consisting of resistors and capacitors, which is connected in series, 1K, 10K, 10uF respectively. These combination gives an output frequency of about 6Hz. The output of the IC is directly given to an LED through a current limiting Resistor. 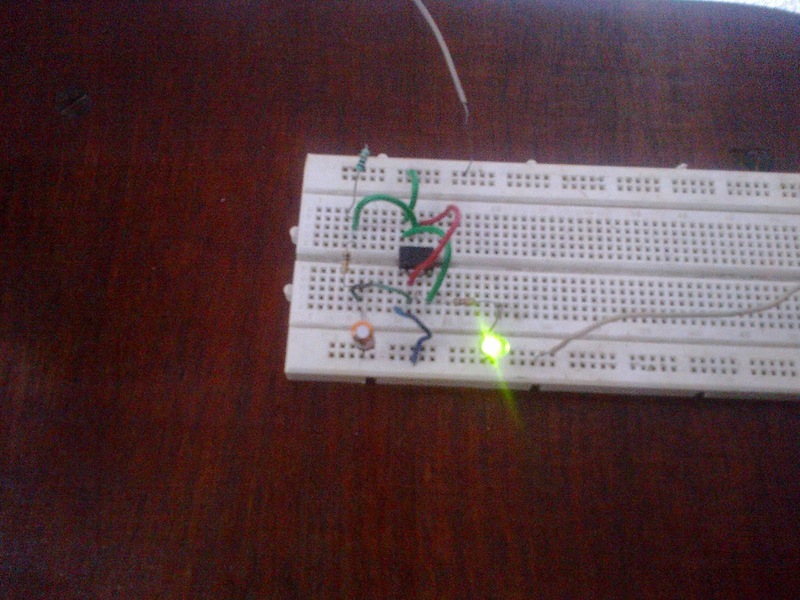 The LED blinks repeatedly, if the IC is working fine otherwise it will remain OFF.